Find out why SPOT.ph movie reviewer Paul Daza gave this animated film 5 out of 5 Spots. 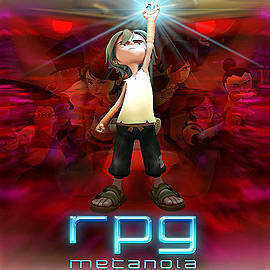 I've seen the future of Philippine movies, and it is RPG: Metanoia. 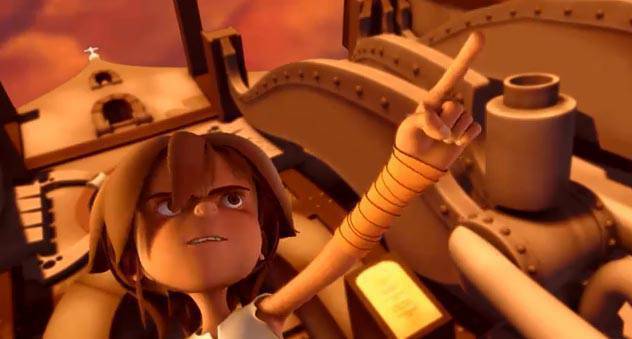 Winner of the Third Best Picture prize at the ongoing 36th Metro Manila Film Festival, RPG: Metanoia is the Philippines' first full-length computer-animated feature, and also the first local movie to be rendered and exhibited in 3D. Thrilling, touching, technically impressive, and terrific all-around, RPG: Metanoia marks a giant leap for Philippine cinema. Child star Zaijan Jaranilla voices Nico, a young boy who's the best in his barkada at playing MMORPG (massively multiplayer, online role-playing games), especially the fantasy quest game Metanoia. One summer, Nico and his friends join a Metanoia tournament where the best players from all over the world are also competing. Despite his peerless gaming skills, however, Nico loses the championship. Every cloud, however, has a silver lining, and Nico's loss finally gives him an excuse to play in the real world instead of the virtual one, something his mom (Eugene Domingo) has been egging him to do for months. Serendipitously, a tomboyish girl named Mayumi (Mika dela Cruz) in Nico's neighborhood catches his eye and becomes his friend. Before long, she's teaching him and his friends how enjoyable Pinoy games such as tumbang-preso, patintero and sipa are. Trouble, however, is brewing in the virtual world. Since the Metanoia championship, online players the world over have been falling prey to a condition which turns them into catatonic, zombie-like beings who can't stop playing the game. Nico realizes that a mistake he made while competing in the global Metanoia tournament may be the cause for the crippling condition that's now threatening the planet. Together with Mayumi and his other friends, Nico re-enters the world of Metanoia in an attempt to right the wrongs he committed, and to face the villain responsible for wreaking havoc in the online gaming universe. Of all the many wonderful qualities and elements that RPG Metanoia is teeming with, none is as important as its captivating story and script, which is credited primarily to Luis Suarez, who is also the film's director. Unlike the vast majority of movies produced by our floundering movie industry, RPG Metanoia is one of the exceptional few to have a compelling story and screenplay that feels completely original and not the result of our culture's shameful gaya-gaya mentality. 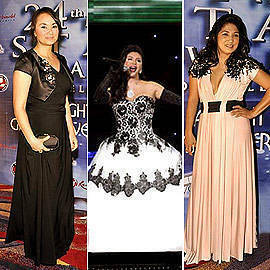 One watches the movie without ever being distracted by references to other movies, like Pan's Labyrinth or Child's Play, as is the case with another MMFF entry. What Suarez and his co-writers have created in RPG: Metanoia is an inspiring, creative anomaly: though it's the most high-tech 21st century Filipino film ever made, RPG also celebrates two of the most timeless and traditional "things" we value as a people: friendship and family. On one hand, RPG Metanoia is about how online gaming has shrunk the world considerably in the last decade. And yet, it also shows in the same breadth how much more fun it is to play taguan with your neighborhood friends. For all the kinetic, eye-popping animation seen throughout RPG: Metanoia, I'm pretty sure that most viewers - especially the grownups- will point to the Pinoy games montage as their favorite scene in the movie. Accompanied by the classic APO Hiking Society song "Bawa't Bata," the brisk and energetic sequence is also a touching, sentimental ode to physical as opposed to online fun, and is one of the best scenes I've ever seen in a local movie. Another scene which I won't soon forget from RPG is the one where one kid invites the others to a birthday party. Like the sequence in Toy Story 2 where Jessie The Cowgirl is abandoned by her human owner, this scene from RPG Metanoia also shows how cruel kids can be, and had me sobbing in my seat. Of course, comparisons to Pixar are both inevitable and perhaps, a little unfair. Inevitable because RPG Metanoia, being a computer animated 3D movie, certainly looks and sounds like a Pixar movie. If, like me, you were thrilled by the sight of a Nipa Hut in the aquarium in Finding Nemo, you'll probably get a joygasm from the cavalcade of so very Pinoy objects strewn throughout RPG: Metanoia, from a mouth-watering plate of fried daing na bangus with rice, to the affectionately depicted sari-sari store adorned with snacks like Chippy (Clappy in the movie) and sachets of the health drink Milo (Hilo). In the virtual gaming world, there's also a cool drive-thru/fly-thru sequence that's set in an area that's a dead ringer for the Spanish-era town of Vigan (this part has the best 3D shots in the movie) and many other fantastic, dazzling digital realms such as floating hills and magical forests. As for its sound track, RPG: Metanoia has the most detailed, densest sound effects track I've had the pleasure to hear in a local movie. The first five minutes of the movie alone, which show Nico's virtual encounter with steel-tentacled creatures and beings with light bulbs for heads, is not just a sight to behold but a treat for the ears as well. If you shut your eyes and just listened to the sound effects and music, you'd swear that you were enjoying a big-budgeted Hollywood adventure. Kudos also to composer Gerard Salonga and the Filharmonika for the original, stirring music which made RPG: Metanoia hum and pulse with vibrant life from start to finish, setting a new pinnacle for the art of motion picture scoring in our country. With all these great things going for it, why would it then be unfair to compare RPG to the movies of Pixar, specifically in terms of the quality of the animation? It's all a matter of numbers. The typical Pixar movie has a budget of $150 million, and is worked on by hundreds of animators. No one has categorically stated what RPG's production budget is, but I'm betting that its producers at Ambient Media, Thaumatrope, and Star Cinema didn't spend more than $2 million to bring it to our screens. That's just slightly more than 1% of the typical Pixar budget. And where Pixar has hundreds of animators working on their movies for four years or more, RPG Metanoia had less than 20 animators painstakingly creating and rendering each frame of the movie, also over a four year period. And so, with all these budget, manpower, and equipment limitations, of course the animation and 3D impact of RPG: Metanoia isn't going to be as fluid and smooth as that seen in a typical Pixar movie like Up or Toy Story 3. And yet, despite all these hurdles, RPG: Metanoia managed to equal the best of Pixar in one respect. Like Monsters Inc. and Finding Nemo, it goes beyond being a movie and becomes something more- a gift which boys and girls of all ages can treasure for years to come. Click here to view RPG: Metanoia movie schedules.